31% of contact center respondents have already moved their service to the cloud – an increase of 6.5 points in the last year. 89% of on-premises contact centers plan to evaluate a cloud service; of those, nearly seven in 10 (68%) will do so in the next 18 months. Additional findings note that software-driven technology needs such as omnichannel, and CRM integration are top investment priorities in 2019. 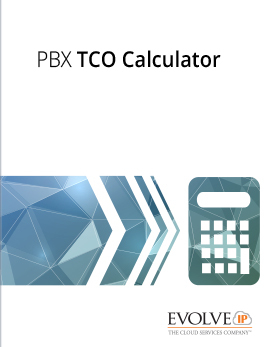 Additionally, an overwhelming majority (92%) desire a unified contact center, where both the PBX and Contact Center technology are from a single technology provider, versus a PBX overlay where 2 separate technology providers are involved. Contact centers are undergoing rapid change driven by technological and demographic transformations. With dramatic shifts in preferred customer contact channels such as chat, email, and text, organizations have been forced to adopt new solutions to maintain excellent customer experiences. Meanwhile, business leaders now recognize that the contact center is a primary point of brand differentiation and are demanding greater levels of insight gathered at the point of customer interaction. Accordingly, the top three features contact center leaders desire are: omnichannel capabilities (40%), business intelligence (31.5%) and speech analytics (26%). According to the survey’s respondents, their biggest concerns are insufficient reporting and analytics with just over 6 in 10 rating it from “challenging to extremely challenging”. The second biggest struggle is finding ways to reduce costs where 20% found it to be “very to extremely challenging” and another 37% found it “challenging”. Enabling remote agents was the third biggest concern with 18.5% noting it to be “very to extremely challenging” and 14% noting it as “challenging”. What’s hot: Compliance. 70% of contact centers faced compliance issues with HIPAA (36%), PCI (34%) and SOX (21%) as the top requirements. What’s not: Chatbots. Despite all of the buzz in the market around chatbots, just 12% of contact centers plan to invest in the technology in 2019. Top Investments in 2019 are CRM integrations (33%), Omnichannel (26%), and Business Intelligence / Reporting (25%). 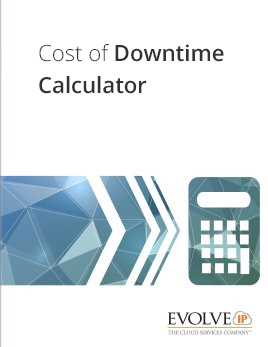 Downtime often results in lost revenue and brand loyalty erosion. However, the survey found that failures are frequent with six in 10 contact centers reporting downtime in the last 12 months. Total Cost of Ownership is a much bigger issue for on-premises contact centers with three times as many respondents noting the concern compared to cloud solutions. The blind, web-based survey was conducted by Evolve IP in the fall of 2018 and featured 163 respondents in North America who are directly involved in managing the operations of their organization’s call or contact center. Please click on these links for more information from the survey INFOGRAPHIC or the full SURVEY RESULTS. One of the world’s fastest growing cloud strategy companies, today Evolve IP provides best-of-breed cloud solutions to more than 1,900 enterprises and over 420,000 users. Many of the world’s most recognizable brands rely on the company’s Evolve IP OneCloud™ strategy to migrate multiple integrated cloud computing and cloud communications services onto a single, unified platform including: contact centers, IP phone systems / unified communications and collaboration, virtual desktops, identity management, disaster recovery, IaaS, and more.